The Plateau State Police Command has arrested a commercial motorcycle rider, Stephen Gyang, for allegedly killing his girlfriend, Alice Samuel, and burying her remains in a shallow grave. Gyang allegedly killed the victim for wanting to force her pregnancy on him. 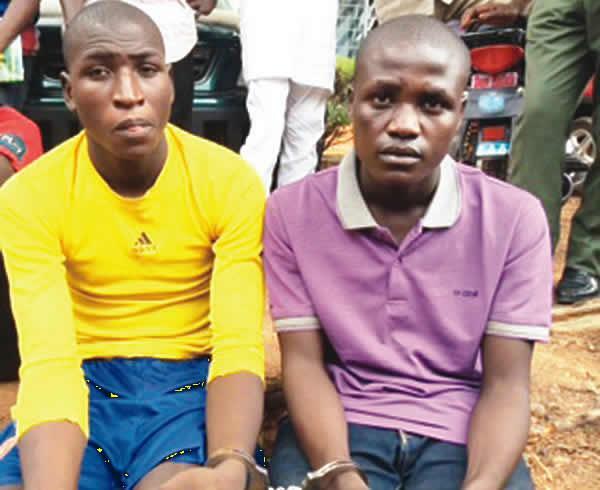 The 20-year-old Junior Secondary School two dropout said he killed his girlfriend because she had initially said he was not responsible for the pregnancy. He said she recanted on the prompting of her mother, who wanted him to take responsibility for the pregnancy. The incident happened in Tahoss village, in the Riyom Local Government Area of Plateau State. The state Commissioner of Police, Undie Adie, said it was a case of “culpable homicide”, adding that the suspect had confessed to the crime and would soon be charged to court. Gyang, an okada rider, told Punch that he reported the matter to his elder brother because he lost his peace after the incident. He said, “Yes, Alice Samuel was my girlfriend and we had been together for some time now. I killed her because of the pregnancy. After saying the pregnancy was not for me, she recanted and said it was mine; that was why I killed her. I decided to bury her that night in a shallow grave that was to be used either for a pit toilet or well. His friend and accomplice, 20-year-old Kelly James, who was an eyewitness, told Punch that he begged Gyang not to kill the victim, but he refused. He claimed that the prime suspect threatened to kill him if he (James) did not assist him. James said, “I had been seeing him and the girl together for over three years now. He is my friend and the two of us are commercial motorcyclists. On that particular day, I had gone to see his girlfriend, who sold palm wine. After taking palm wine at her shop, I went to my friend’s house. When I discovered that he was not at home, I picked the house key where he usually kept it, opened the door and slept off in his room.